Utilizing and sharing your dental videos couldn’t be easier: they are saved in a highly secure cloud server and thus accessible by password with any device, anytime, anywhere, as long as there is an Internet connection. Furthermore, you can create personal groups for sharing videos, images, discussions and other files, which is very useful for treatment teams, collegial consultations and learning purposes. Your Futudent account and all uploaded material are protected with bank-level security. You can access your Futudent account anytime, anywhere and with any device connected to the Internet. 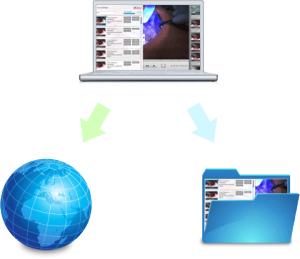 You can store, access and share your videos and/or selected images both publicly and with closed groups of people and attach messages and other files to them. Your private and group discussions in the cloud service are stored for further review and use.